1. Clarity & Awareness: An awareness and understanding of what I’m apologizing for–and clear communication of this to the injured party. This is why a blanket apology often falls on deaf ears, a recipient wants to know they’ve been understood…actually most people in general want to know they’ve been understood. 2. Listen & Receive: Sometimes when an apology has been crafted and every word had been agonized over, it’s easy to forget that this is a dialogue, not a monologue, and listening is key–it’s not just about waiting for our turn talk. Our recipient may also have a response, may have their own feelings and may have their own thoughts. It’s important to hear them. 3. Learn: In short, don’t do it again. 5. Forgive & Accept: An apology is not the time to air gripes. Ideally, at this point there is an understanding about what my part is and I’ve made peace with that…if not, perhaps it’s not time for an apology yet. 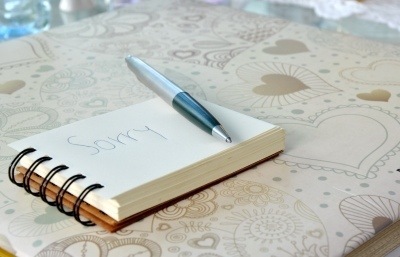 The best thing about a honestly felt apology is that it is a gift not only for the recipient, but for the giver as well regardless of the ultimate outcome.